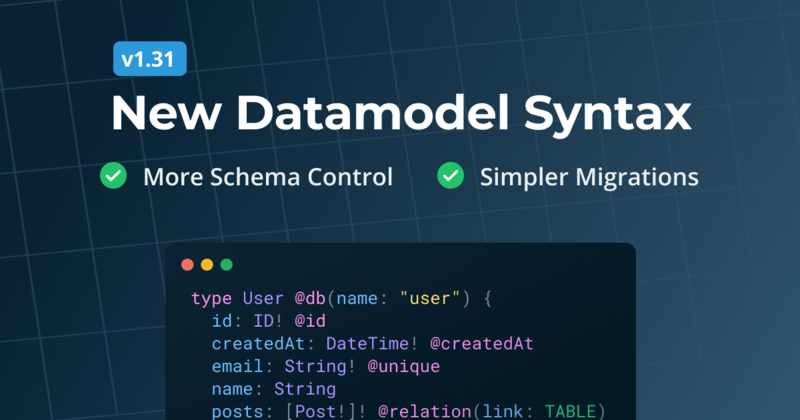 As outlined in the previous post, SDL-first GraphQL server development has a number of challenges, such as keeping SDL and resolvers in sync, modularizing your GraphQL schema, and achieving great IDE support. Most of the problems can be solved, but only at the cost of learning, using and integrating a myriad of additional tools. 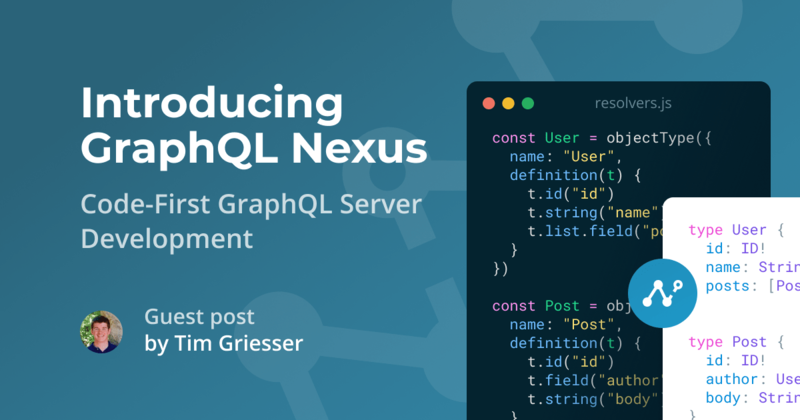 Today we are introducing a library that implements the code-first approach for GraphQL server development: GraphQL Nexus. 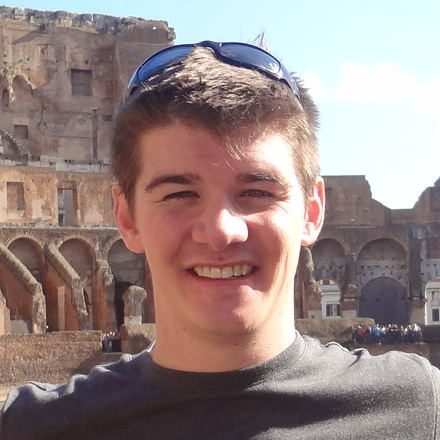 While being a code-first framework, GraphQL Nexus can still be used for schema-first development. Schema-first and code-first are not opposing approaches: they become even more useful when combined. With Nexus, the GraphQL schema is defined and implemented programmatically. 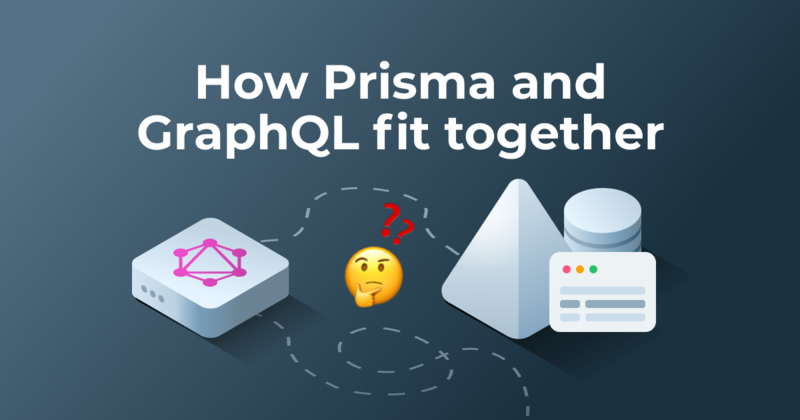 It therefore follows proven approaches of GraphQL servers in other languages, such as sangria-graphql (Scala), graphlq-ruby or graphene (Python). Nexus builds upon the primitives of graphql-js which makes it largely compatible with the current GraphQL ecosystem. The fastest way to get started with Nexus is by exploring the official examples or by using the online Playground. The best practices section in the docs contains many instructions regarding the ideal editor setup and hints for structuring Nexus projects. 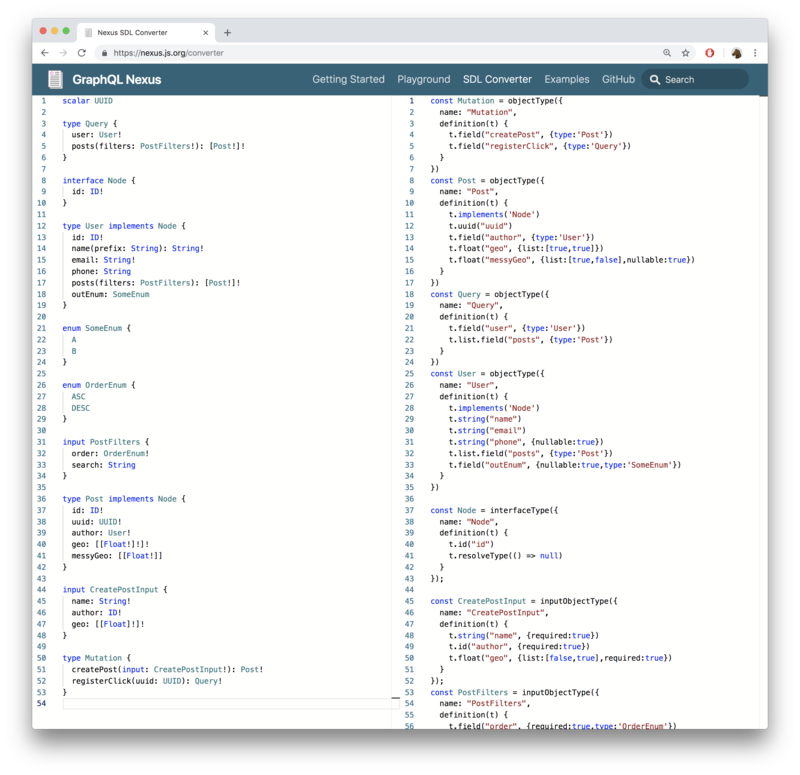 As GraphQL Nexus generates typings on the fly, the best developer experience is achieved with a development server that's running in the background as you code. Whenever you save a file, it takes care of updating the generated typings. "dev": "ts-node-dev --no-notify --transpileOnly --respawn ./src"
The development server that's running as you build your API ensures that you always get auto-completion and error checks for the schema changes you just introduced. With the new schema polling feature in the GraphQL Playground, you GraphQL API will reload instantly as you adjust the schema as well. 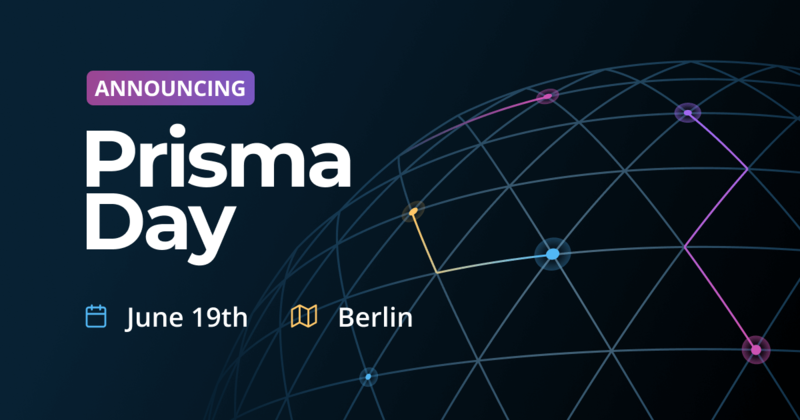 We are super excited about GraphQL Nexus and hope that you will be too. Feel free to try out Nexus by exploring the official examples or following the "Getting Started"-instructions in the docs. If you encounter any problems, please open a GitHub issue or reach out in our Slack.